Donna Brazile spilled the beans on the DNC and the people who drove it into the ground. And one of those people was Barack Hussein Obama. “Barack never had seen himself as connected to the party. He had not come up through it the way Joe Biden and Hillary had. Obama “used the party to provide for political expenses like gifts to donors, and political travel.” Because he “also cared deeply about his image,” he used DNC funds for “his pollster and focus groups” late into his second term, even though he couldn’t run for president, Brazile said. Brazile reveals what half of America already knew. Obama campaigned on being the right choice to bring “hope and change”…to everybody. People tired of politics as usual would get transparency in government, as well as accountability. Next, Obama promised much to Main Street. He would go after the Wall Street fat cats who had almost bankrupted the country. Then, he would level the playing field for all. Blacks and other low income communities would get a chance at real opportunity, as Obama promised to fuel an economy that would benefit the least among us, the most. Leftists and even some disgruntled Republicans bought the rhetoric. Leftists wanted a savior, and many Republicans felt that Obama could usher in some civil rights Renaissance. 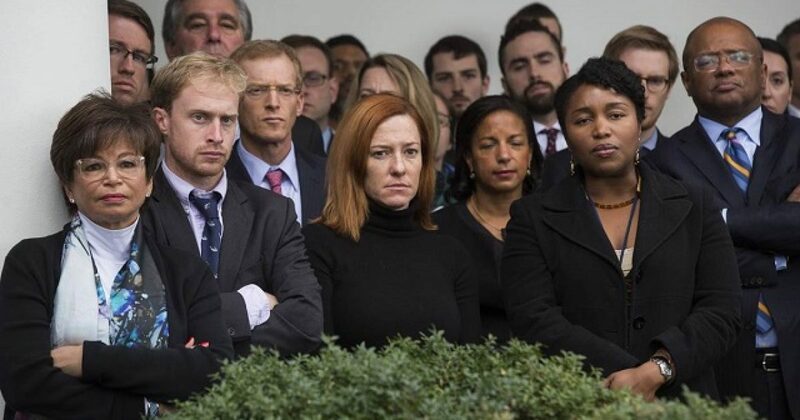 For these people, Obama presented a win-win. But we all know the end to that story. Obama was undoubtedly the most divisive president in the modern era, rivaling racist Democrat Andrew Johnson. Except Obama went a step further, adding class warfare to his race warfare. Obama’s out of control spending more than doubled the country’s debt, and he distanced the wealthy from the poor. He skewed the real unemployment numbers, and jobs created were menial. But Obama didn’t just bankrupt America, he bankrupted the Democrats. As Brazile pointed out in her book, because of Obama, the DNC ended up $24 million in debt. And apparently, he never paid it back after promising to do so. And in what the Democrats can only describe as Obama’s Reign of Terror, the Democrats lost over 1000 seats to Republicans. Simply put, if Democrats weren’t forced to pretend to like Obama, he would be ostracized by the party. Regardless of how Obama decimated the Democrats, he lives a very different lifestyle. $400,000 for an hour’s work appeared to be the going rate when Obama gave his first speech. But then things got really good for Obama. And what of their digs while on tour? Barack and Michelle stayed at a 14th-century villa in Tuscany. The villa had been refurbished to its original specifications and can be rented out in its entirety for an eye-watering $15,000 per night. And to top it all off Obama already signed a $60 million book deal for his next memoir. The bidding for the rights to books written by former President Barack Obama and first lady Michelle Obama has skyrocketed to more than $60 million, according to a report from the Financial Times. Penguin Random House, which has published three other books by Barack Obama, is leading the bidding war so far, according to the report published on Tuesday. HarperCollins, Simon & Schuster, and Macmillan are competing. Now that’s what Kevin Jackson would describe as BIG pimping! As the Democrats sold their souls to the Devil and Hillary Clinton, Obama was living la vida loca. When will the party finally turn on the newly minted multi-millionaire scoundrel?